I have one. Highly recommend it. I've made some setting adjustments a few times. I have the MM3 and it is awesome!! I highly recommend this mill. I have never owned any other mill, though. I own MM-3 (owned for the last 5 years or maybe more), I bought hopper and base (because I am lazy) which holds over 10lbs of grain, and it is nice. I run it with a newer drill. I do wished I would have invested in the stainless rollers (but only just because I like stainless, and the mill has a little oxidation on the rollers, which doesn't affect its performance). 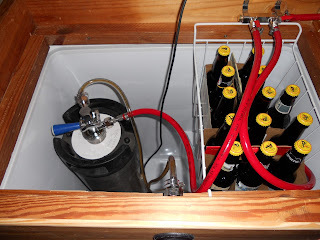 I use factory settings (never changed), and have nice efficiency and no run off issues with my mash tun set up (keggle, stainless false bottom), even when I use 60% wheat. I had trouble with crushing wheat but that was my old drill, new drill runs through it like butter. I would buy it again, but probably never will need another. Mine is set to .038 and my brewhouse efficiency is about 88%. I run a few lb thru it. Thanks for the replies. I'll leave it where it is for now and do a house pale recipe and see how it goes. I have a RIMS system so I like to leave some husks.